Portable Wooden Speaker has portable handle for outdoor activities such as picnic, fishing, hiking, etc. Portable Wireless Speaker can support PC audio input is supported, which can be used as computer, device, iPhone and other smart phones. Portable Bluetooth Speaker can use wireless bluetooth to connect with music APP to play MP3 songs online, and the transmission distance can be 10 meters. 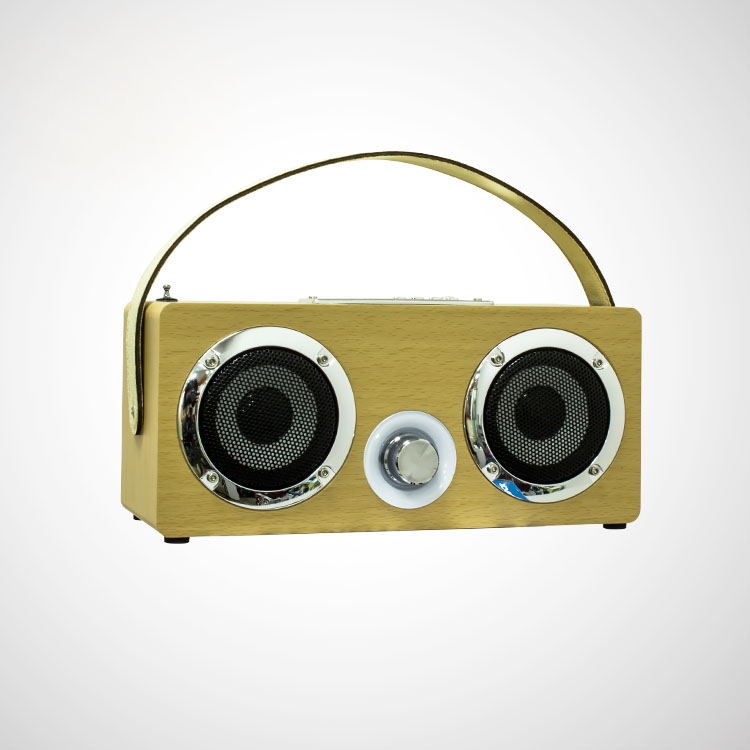 Looking for ideal Portable Wooden Speaker Manufacturer & supplier ? We have a wide selection at great prices to help you get creative. All the Portable Wooden Wireless Speaker are quality guaranteed. We are China Origin Factory of Portable Bluetooth Speaker. If you have any question, please feel free to contact us.